It may have taken 17 weeks, but it feels as if this season’s NFL campaign has finally arrived. The play-offs are here, and whilst the season hasn’t necessarily covered itself in glory in terms of on-filed quality, there have still been enough talking points to keep people interested since September; the Eagles being good and then not no good after losing Carson Wentz, whether a catch is actually a catch and the coaching merry-go-round that is now in full swing as numerous clubs start looking for a new Head Coach. But the focal point of any sport is the championship run in, and after another 7-game thrilling World Series, let’s hope the NFL play-offs can offer similar levels of entertainment! 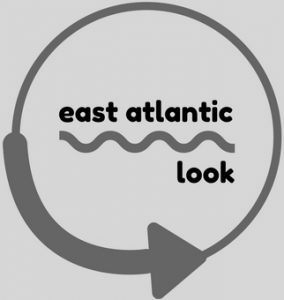 Engaging with sports fans is something we at East Atlantic Look enjoy doing; hearing different views, discussing different sports, talking over different team’s fortunes and sometimes engaging in a little, not too often, heated debate. As part of previewing the upcoming play-offs, we thought it would be a great opportunity to take advantage of the NFL’s growing popularity in the UK and talk with some of the respective fan accounts of the teams who have battled to make the play-offs. The first quarter is the key according to Michael Lombardi on The Ringer NFL Show; the Bills need to get ahead early against the Jags defence and not leave themselves too much to do on the road against a solid Jags defence. Buffalo Bills could be forgiven for already being satisfied with their season; they’ve ended the longest play-off drought in the major sports (Seattle Mariners now carry that burden in MLB). 18 years ago, the Bills saw their play-off run ended by a kick-off return from Kevin Dyson (via Lorenzo Neal and Frank Wycheck) with three seconds left on the clock for the Tennessee Titans. Because they’ve been away so long, the Bills could be forgiven for just ‘enjoying the occasion’ – they’ve already won 2018 Twitter by sending wings to Cincinnati Bengals as a thank-you for beating the Baltimore Ravens, ultimately the decisive game in the play-off picture. 18 years later and there is a familiar feel to the ‘last time around’, Buffalo played their backup Quarterback rather than their starter. This year the Bills chances are being heavily linked to the fitness, who is being monitored day-to-day, of star Running-Back LaSean McCoy. For the Jacksonville Jaguars, or ‘London’s team’ as they are now being dubbed (they’re rumoured to be playing back-to-back home games in London in 2018), they will be going into the game as heavy favourites, if the Bills are without McCoy then that heavy favourites tag becomes ‘near certain’. Blake Bortles has shown some sort of a resurgence in 2017, though much of that is down to putting up good running numbers as a team. On the other side of the ball, the defence has been league-leading; the NFL’s number one pass defence. If they can tighten up their run defence to combat the Bills main offense, then Sunday’s opening game could be little more than an exhibition game; walking the Jags into the Divisional Weekend. Kansas City Chiefs are into their 4th quarter of their season; they were great, then sucked, then improved again and now their play-off run. Their offense is always a threat both passing and rushing; Alex Smith is still one of the league’s best QBs, and the Chiefs have a 22-year-old ace card in Running Back Kareem Hunt; 1,327 rushing yards and 11 touchdowns – he’s going to win the league rushing title as well as being heavily tipped for Rookie of the year. If Kansas have an ace in the pack when it comes to rushing, surely the Tennessee Titans need to have a good rush defence? Correct, that is what they’d need to compete. Unfortunately, they rank 22nd in the league when it comes to stopping opposition rushers at the line of scrimmage. They did however force opposition offense to fail to convert on third downs 36 percent of the time this year, 9th best in the NFL. The Titans get a lot of stick from many pundits and social figures – Bill Simmons and most of The Ringer NFL Show jump at any opportunity to let people know they are a bad team. This isn’t entirely true, but it’s not far from the truth. They will struggle to overcome the Chiefs largely down to a one-dimensional offense (ranked 18th in the league). Whilst their passing game is poor, their running game may still be too much for the Chiefs who rank dead last in run defence; this is the Titans best chance of winning. Though I don’t think they will. With a week off until they play again, the headlines are being grabbed by Tom Brady once more. For being an MVP candidate once more I hear you say? For throwing his worst passing percentage since 2012? No, for ‘winning’ the trade against head coach Bill Belichik in moving out superstar understudy Jimmy Garoppolo. Brady wholeheartedly denies the stories, but no smoke without fire and all, plus the fact New England Patriots need to start planning for times without Brady soon, maybe he was trying to buy himself some more years in the pocket. The hurdle the Pats may need to overcome in the play-off race is the internal speculation; their defence will need to improve and finger pointing may start if Brady doesn’t get the protection he wants when moving forward. Similarly, a number of their coaches are being tipped to be interviewed for the openings as Head Coach at the clubs on the lookout, if their heads aren’t fully in the play-off race and more concerned for their own futures, there could be the chance of a hiccup. The reality of their Super Bowl chances? Yeah, they’ll probably win provided they get past the Steelers. Again. The Steelers won’t win the Super Bowl. They’ll lose to the Pats again. Seriously though, the Pittsburgh Steelers are an odd one; they’re a good side that almost looks an easy back, whilst still being a long-shot – does that make sense? They face a tough route to reach February; if the Jags beat the Bills then they’ll be taking on a team that beat them by more than 20 points this season (yes they were poor early but it’s the mental scars that hurt the most). Overcome that loss and they’ll have to take on the Pats, another loss from the season they’ll be looking to overcome – not easy. Though he was (maybe still is) in the MVP conversation, Antonio Brown holds the keys for the Steelers to be successful – and when he’s not guaranteed to be 100% fit, that’s a worry to be relying on him so much. They have big performances in them, and have overturned an early season slump, but they’ll need to put in three huge performances to win it all – and if they do, they’ll have earned the success. I’ll not be the only one that thinks this could be the biggest points differential of all the Wild Card games. Cards on the table, Cam Newton has been more of a hindrance than a help for the Carolina Panthers this year – he needs to show up big and keep the ball in their hands so as not to over-expose their suspect defence to the steam train that is the New Orleans Saints offense. Drew Brees is worth all the praise he’s receiving – he has a 72% pass completion, an NFL all-time record. Coupled with two running backs with over 1,500 yards each from the scrimmage in Mark Ingram and Alvin Kamara and it’s easy to see why the Saints are not just being tipped for the Wild Card game, but possibly going the whole way. The Saints put 30+ points on the Panthers in the regular season, there’s no doubting they’re capable of doing the same again. The Eagles are getting a lot of credit for being in the Divisional round already, but a lot of their work was already done before December; as soon as they lost MVP-candidate Carson Wentz with an ACL injury, it was all about how Nick Foles could manage the offense. The answer unfortunately is not well – the teams in the NFC Wild Card won’t be worrying about a trip to Philadelphia in the Divisional series. Whilst they looked serious contenders to win-it-all early in the season, losing their key name has seriously hampered their chances. It would appear the guys @UKEaglesHQ somewhat agree; ‘I think our chances of reaching the Super Bowl have slimmed since the injury to Wentz. As fans we believe that Foles can lead us there – he isn’t a pro-bowl and pro-football Hall-of-Fame QB for no reason; he has the ability to lead us there. Our defence is a key factor to winning present, but we’re confident Foles can come up big in the play-offs’. The Minnesota Vikings are in a great position to reach a home Super Bowl; currently third favourites to win-it-all (19%), we think they’re more like second favourites as the Eagles without Wentz are not a side with a 23% chance of winning the Super Bowl. If their defence can shut out the Saints offence if/when they meet. Inexperience may count against them with Chase Keenum, but a defence that is shipping less than 16 points on average this season will give him plenty of opportunities to make plays and put points on the board. Make sure you follow the respective twitter accounts – all tagged – as well as checking out Gridiron UK – the UK’s biggest social media presence when it comes to discussing American Football along with NFL UK. Getting more and more fan accounts or people involved in breaking down events is something we’re hoping to do more of – show all the accounts some support, tell them what you think of their calls and engage. Most of all, help grow the game in the UK!